“Makhija, shame on you. Farmworkers are people too,” chanted protesters outside the Fisher College of Business on Monday, referencing the college’s dean and John W. Berry, Sr. Chair in Business, Anil Makhija. 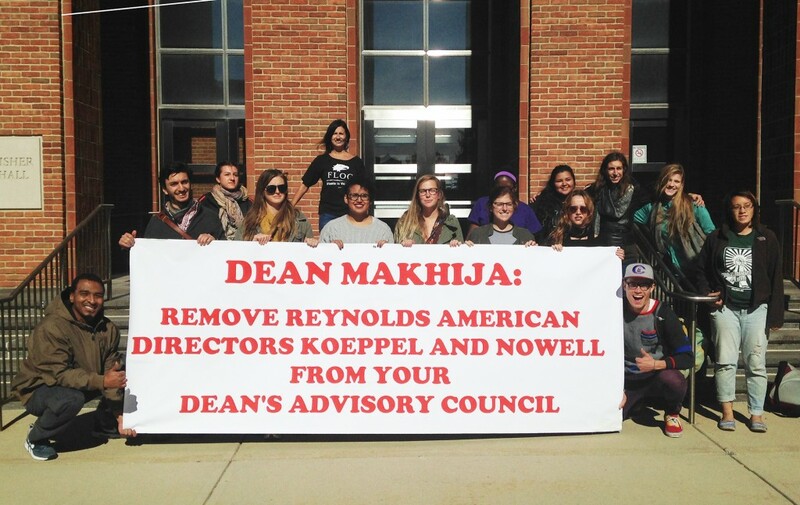 The protest, organized by the Farm Labor Organizing Committee, called for the removal of two members of the dean’s advisory council: Holly Koeppel and Lionel Nowell III, who both also sit on the Reynolds American, Inc. Board of Directors. FLOC claims Reynolds is largely supplied with tobacco from poorly treated workers who frequently face poor housing conditions, hazardous working conditions, illness, and sexual harassment, said protester Henry Anton Peller, a master’s student in soil science. Makhija said, “The role that (Koeppel and Nowell) perform for us is a different role” than they perform for Reynolds American. 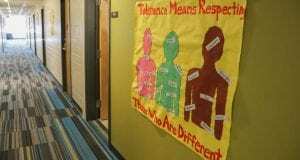 The Reynolds American Services Company declined to comment on the protest, citing a company policy to not provide comments to university newspapers. “But we can – and do – bring significant efforts to bear to ensure that our suppliers have the training and resources they need to do the right thing for the people who play an important role in our supply chain. Significant efforts are already underway, and we are committed to continuing to play an appropriate role in this process,” the company states on its farm labor issues webpage. Peller said he feels Reynolds has the power to change the lives of farm workers. “We have to separate the basic reality … the CEOs don’t pay the farm workers from the systemic reality that they hold the power in this sector,” he said. FLOC hopes to address this “systemic reality” by organizing farm workers. “We want Reynolds to negotiate with us a mechanism that would allow workers to negotiate without fear of retaliation,” said Velásquez, adding that farm workers have largely been denied the right to organize that most other workers possess. FLOC hopes that organizing the farm workers will allow them to negotiate better living and working conditions as, currently, FLOC is “constantly fighting abuse” on tobacco farms, said Velásquez. The question of whether farm workers will be allowed to organize without fear of retaliation is part of the whole question of whether we will continue to be a society that requires true freedom for all of its people that are here in the country,” Velásquez said. Why assume that having R J Reynolds directors on Fisher College boards is contrary to OSU’s “mission”? A strong case can be made that it is perfectly consistent. OSU refuses to enforce its own ban on tobacco, after all. The university is in a relentless pursuit of profits, at all turns. Unfortunately, it is failing in that, and therefore not setting a good example for either its students (including Fisher College’s) or the public of Ohio.